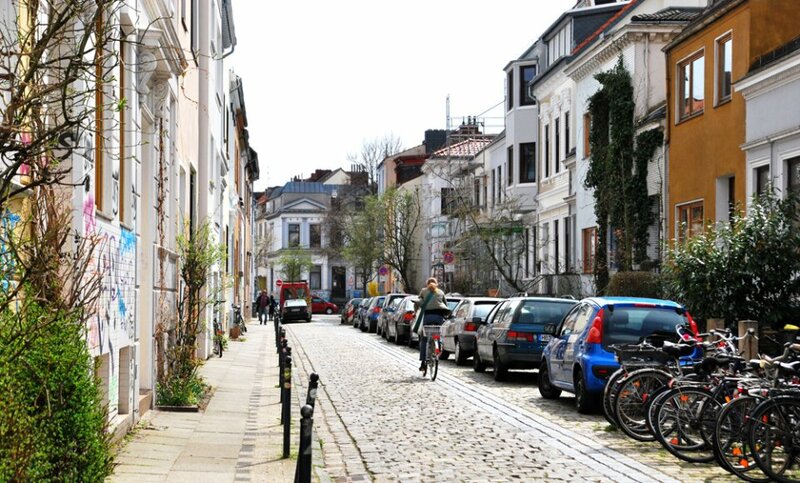 The Östliche Vorstadt (eastern outskirts) is one of the most vibrant and beloved neighbourhoods in Bremen. Here you’ll find numerous cultural offerings, restaurants and cafes, as well as sport and recreations activities. 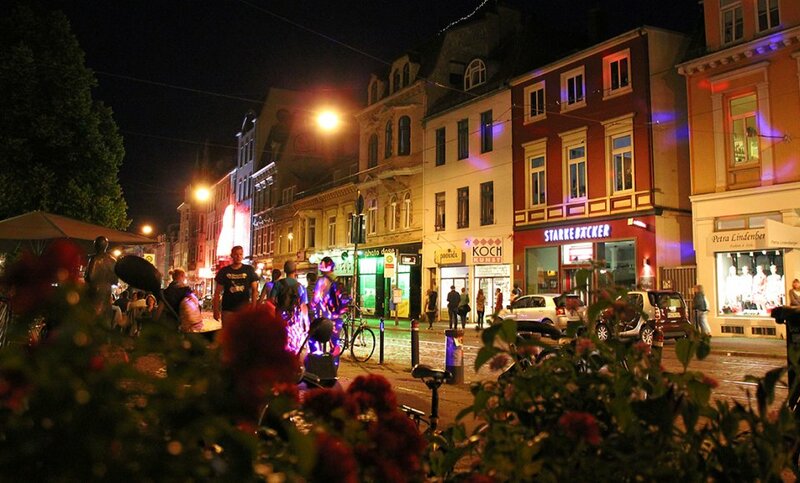 A bustling nightlife can be found here, especially in the section of Steintor, but Fesenfeld also has a lively pub scene. Those who like things a bit quieter will prefer Hulsberg or Peterswerder. 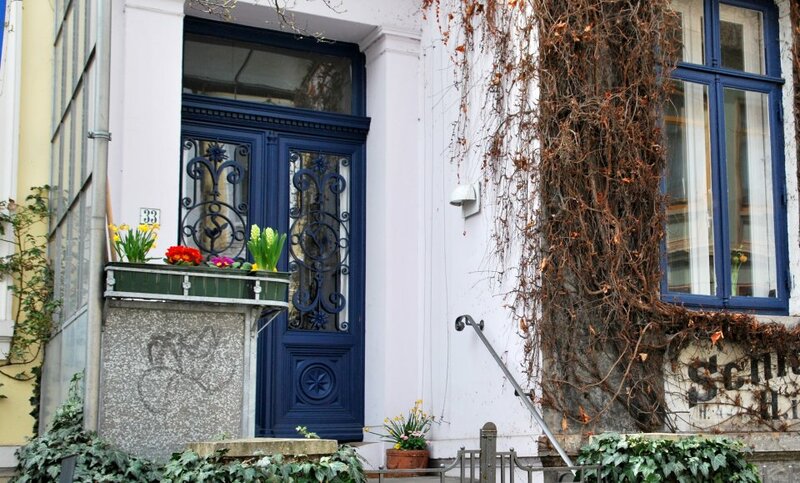 Within all sections of this neighbourhood, you’ll find typical Old- Bremen houses. Especially in smaller side-streets, it’s not unusual to find these architectural jewels lined up, one after the other. 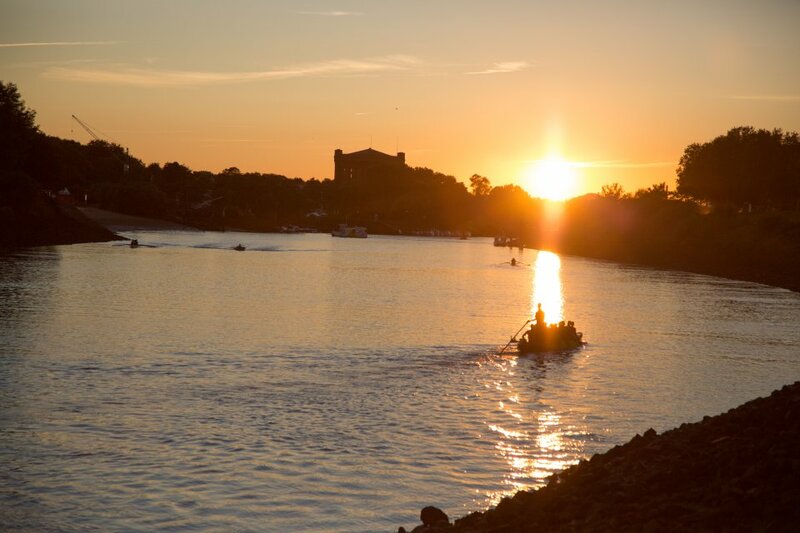 Whether student, young family, or long-time resident - with its central location, good infrastructure, and attractive buildings, the Östliche Vorstadt is one of the most sought-after residential areas in Bremen. Subsequently, the rental prices are relatively high. 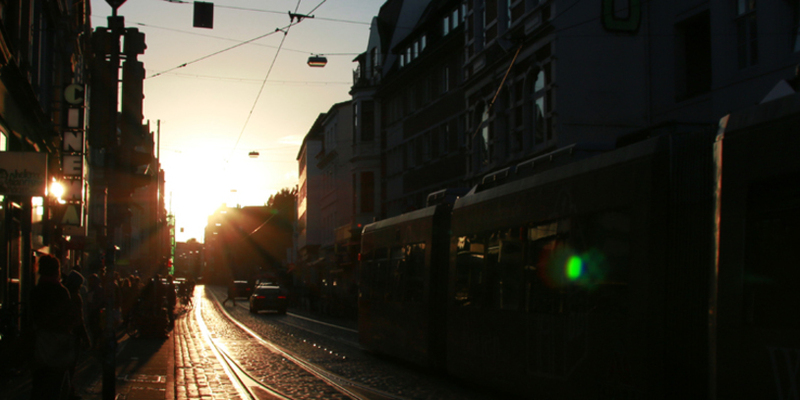 Although the Östliche Vorstadt is very centrally located, you can get outdoors easily. 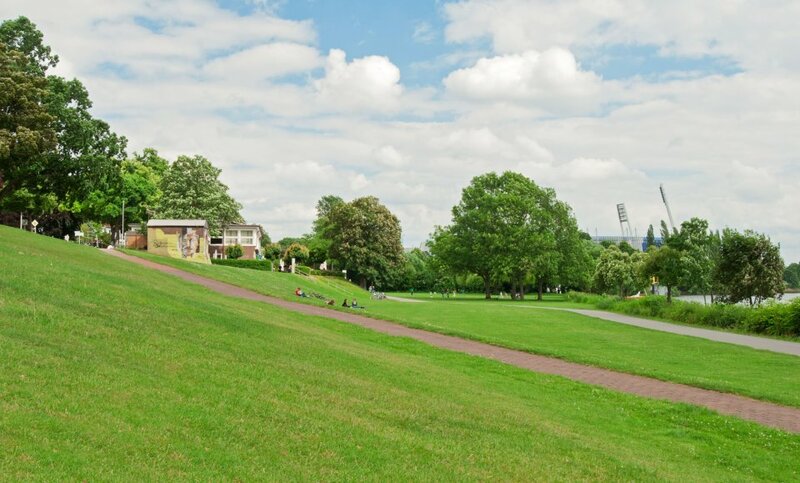 This area not only has the Weser River on its doorstep, but also the Pauliner Marsch, located directly behind the Weser Studium, which - with its garden allotments, sport-fields, and meadows - acts like a green lung. 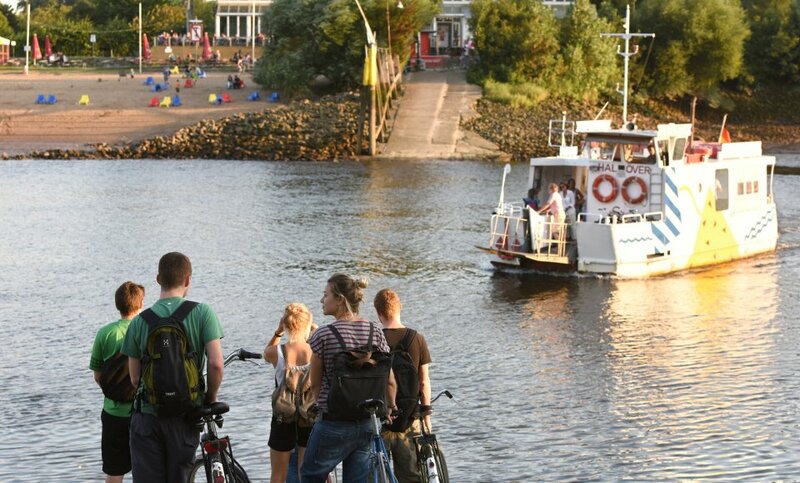 And with the Sielwall ferry, or by the footbridge at the Weserwehr, you can cross over to the Stadtwerder and go to the Werdersee - one of the most beloved natural recreation areas in Bremen. Thankfully, no ships have ever been lost in Bremen’s Bermuda Triangle, but you can dive into some delicious cocktails here. The relatively small area between Fehrfeld and Römerstraße is packed with numerous bars that lure you in with their unique ambience and happy hour specials! Inside the Pauliner Marsch (Marsh), Bremen’s largest sports park is located, the Sportgarten e.V. Beach volleyball, boulder climbing, horseback riding - the multifaceted activities offered here are especially suitable for children and teenagers. Members who pay a one-time yearly fee can use the facilities anytime they choose. For non-members, a daily pass can be purchased. Ostertor and Steintor (known as the "Viertel" (Quarter) to locals) are great for shopping. Here you won’t find the big-name stores and labels of the high street, but rather smaller shops and boutiques. 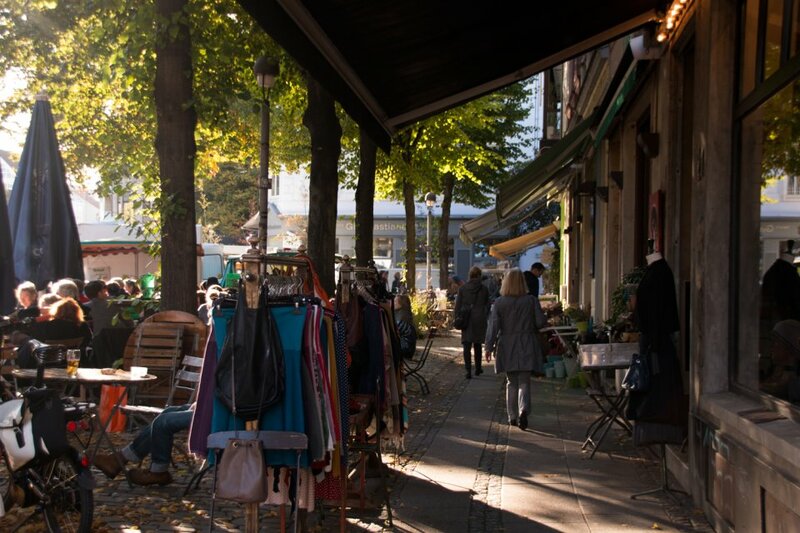 Whether you’re looking for a second-hand shop, that special gift, or a culinary delicacy - you’ll find it at the shops in the Viertel. The neighbourhoods of Mitte and Östliche Vorstadt share the sections of Ostertor and Steintor, affectionately known as the "Viertel" (the Quarter). Here you’ll find an array of restaurants serving different cuisine, and plenty of bars and cosy cafes. There is a rich number of cultural offerings at the various theatres, exhibitions, concerts, and two small, independent cinemas. And this is the place for night owls: Those so inclined can party well into the night at the different clubs located around Sielwall. 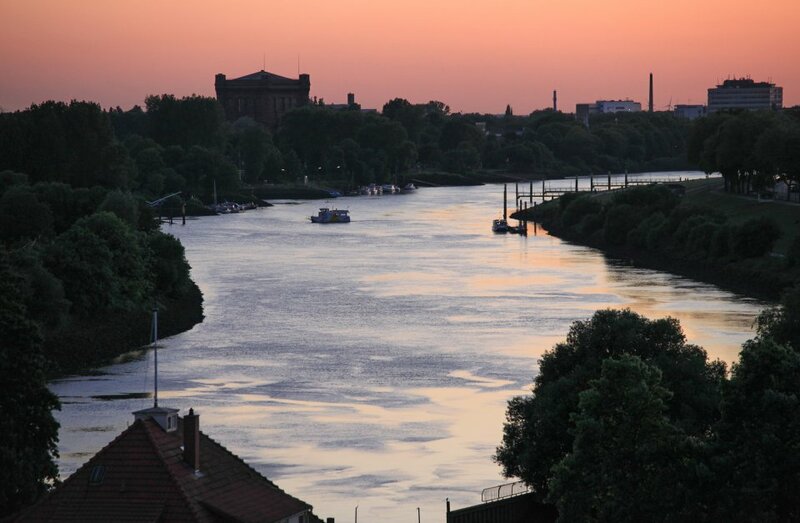 "At the big bend in the Weser River", in the middle of the Östliche Vorstadt, lies the Weser Stadium. 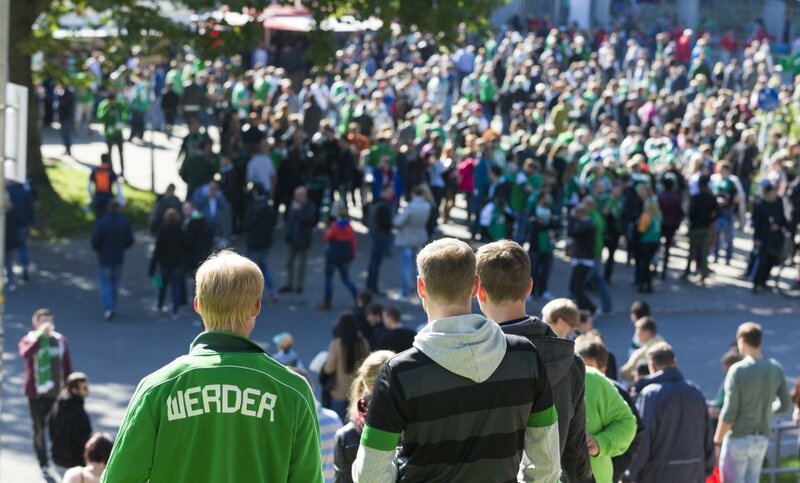 During the league season, the home games of SV Werder Bremen take place here every other weekend. While fans in other areas might have to travel quite a distance to watch a premier football match, the stadium in Bremen can be reached on foot or by bike. When the weather is fine, everyone - old and young - comes together at Osterdeich. 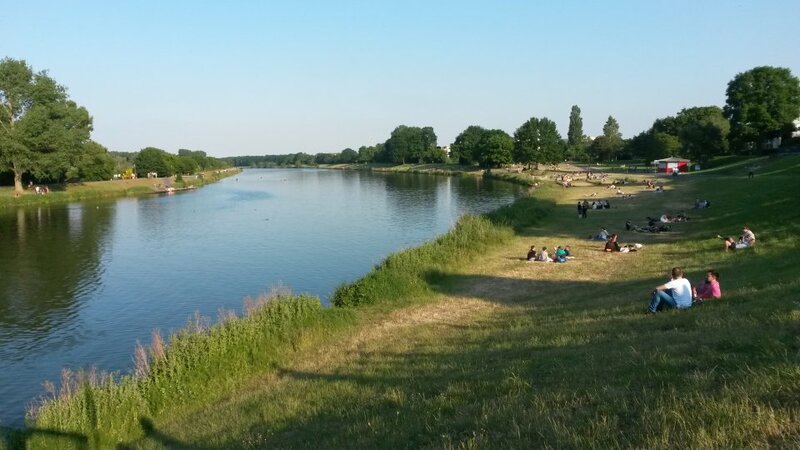 Barbequing, playing music, jogging, or just hanging out and relaxing - the wide expanse of lawn directly at the Weser River is the perfect place to enjoy yourself. It’s especially nice to go there after work, as it’s probably the best spot to savour the setting sun. 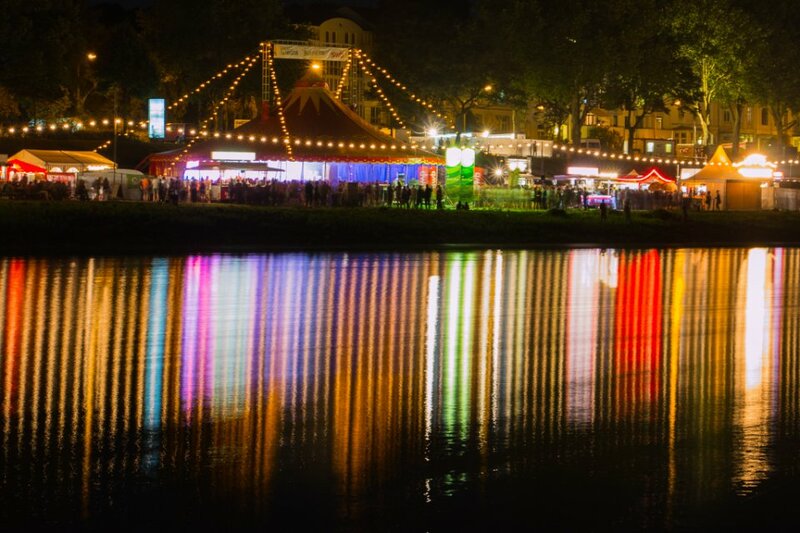 Every year, the culture festival Breminale on the Weser draws folks from near and far to the Osterdeich. Numerous visitors come each summer to enjoy five fun-filled days brimming with live music, dance, readings, children’s theatre, and much more - all with free admission! 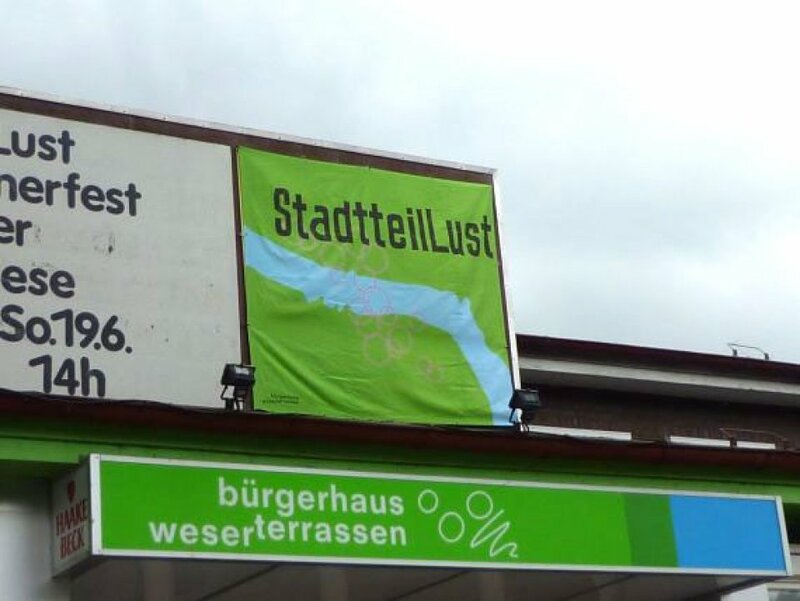 A special feature of the Östliche Vorstadt is its location directly at the Weser River. The commute to work, a stroll on Sunday, daily exercise (in, as well as alongside, the water) - the residents of the neighbourhood take every opportunity to enjoy the proximately to the river. The Bürgerhaus Weserterrassen in Östliche Vorstadt is one of the most successful community cultural centres in Bremen. Movement, dance, music, theatre, or crafts - an array of diversified cultural and social activities is available for people of all ages. If you’re planning to move to the Östliche Vorstadt with a car, you should look for a place that includes a parking space. Free parking here is a rare commodity. 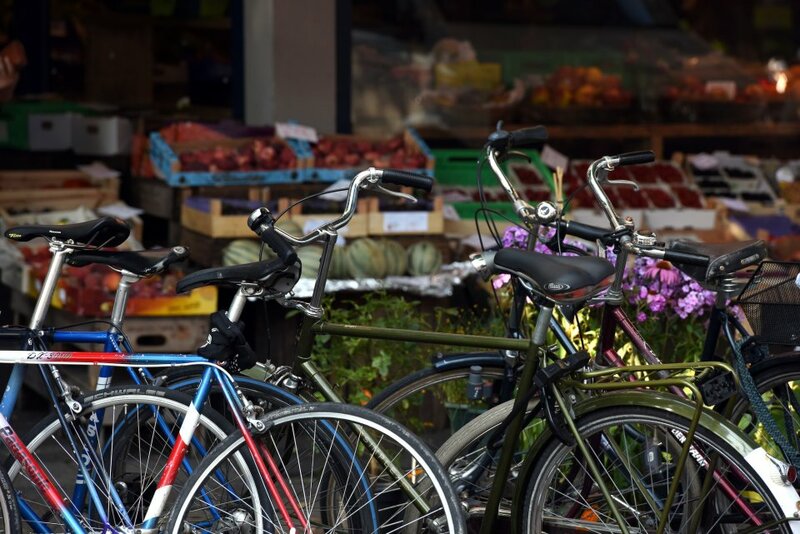 Because of that, and due to its central location, many of this neighbourhood’s residents choose to travel by bike. And should you live in the area between the streets of Stader Straße and Lübecker Straße, and Am Schwarzen Meer/Am Hulsberg and Osterdeich, be aware that during home games, this zone is blocked off to all traffic - aside from residents with permits and special vehicles - 2,5 hours before the start whistle blows.